I've read a _lot_ of material about Law of Attraction over the years. I've read lots of _parts_ of materials, too before just giving up. Many authors just blah on about this stuff, almost as if they're just trying to sell endless seminars where they almost tell you how it works. Not this perfect little gem of a book! It's just what you need to know, in an easy conversational style that delivers great ideas without any extra fat. 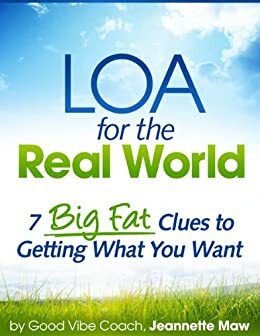 If you have figured out LOA, then you know you're on this page because this little treasure has something important to add to your life. Love love love it. 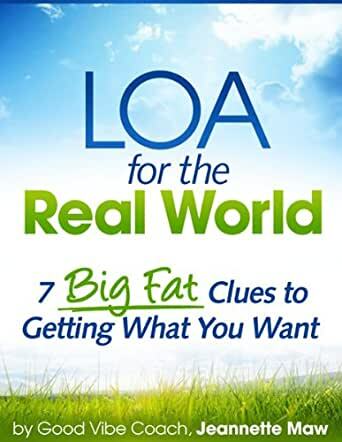 I like to have a new LOA book book on my kindle to remind me to stay focused on it, so I have quite a few books here. I like Jeanette's books because they're quick and easy to not only read but to apply. By now most of this stuff sounds like common sense to me but as we know common sense doesn't mean it's second nature. I'll be sure to get more of her books as I fisnish them. Thank you Jeanette for your every day approach to LOA. 5.0 out of 5 starsI am a LOA lottery winner, and really liked the message of this book. I downloaded it a few weeks ago and just got around to reading it tonight. It's a quick read with a lot of good bullet points and reminders about the Law of Attraction. I particularly liked the section on Baby Steps, Feeling Good and Changing Reality. It reminded me that big change requires consistent baby steps until we can take larger steps that lead to our goals. It is written in an easy-to-understand manner and has a good feel. Review written by Eddie Coronado, author of the Kindle book "Manifest Your Millions: A Lottery Winner Shares his Law of Attraction Secrets"
This book is a quality one: well written, on-point, and full of wisdom. I have found Jeanette Maw to be a wonderful teacher and her books espouse her abundance mentality. She is always quick to remind us that it is always the feelings we want, rather than the "thing" we believe will grant us those feelings. In other words, happiness will always be a reflection of our insides (not the other way around). One of the great truths about LOA is that if we find the feelings we desire, if we become what we desire, the universe has no other option but to manifest in union with who we are. Thank you, Jeanette, for the wonderful reminder. First off, yes, this book is short. But so is As a Man Thinketh a classic on the Law of Attraction. I found this book searching through the "Free" books on Amazon.com for Kindle, and downloaded it. I started to read it and even though I finished it quickly, it is one of the books that I plan on keeping on my Kindle to read over and over. It can stand as a good introduction into the Law of Attraction, but it also serves better as a refresher for those of us who have read multiple treatises on the subject, but want a quick reminder book to keep around. I am truly grateful to have found this gem here on amazon.com. It has served me well, and will continue to serve me for many years to come.